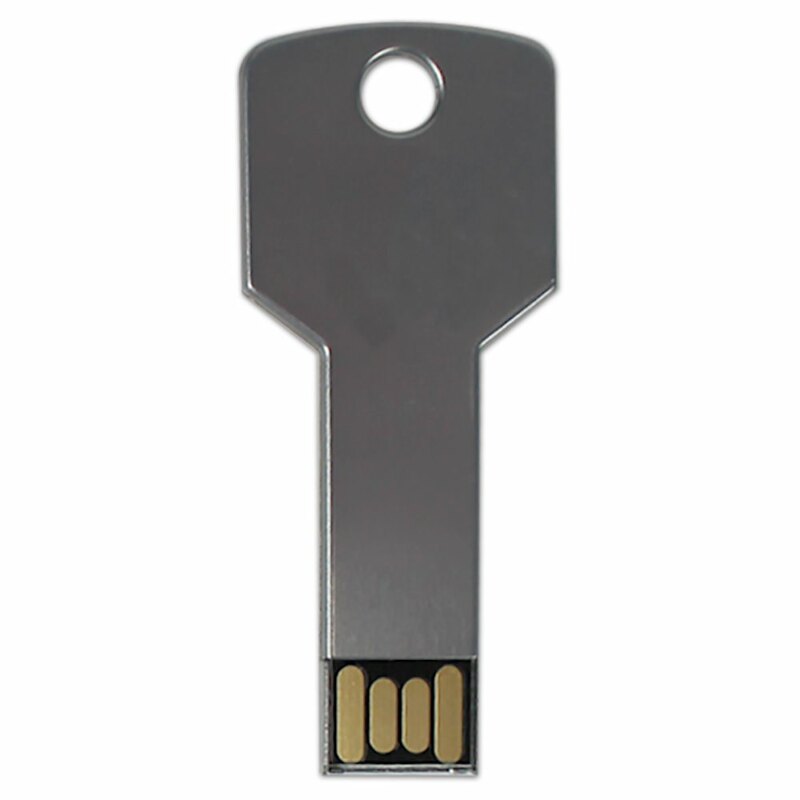 Unlock new opportunities and free your data with the Flash Key USB drive! These sturdy metal drives are easy to carry around on a keyring, thanks to a built-in key loop. These cap-less Hi-Speed drives make for great promotional gifts, business tools, and educational supplies. You can get them in bulk at wholesale prices, or order customizable Flash Key drives that will have your logo printed on them. 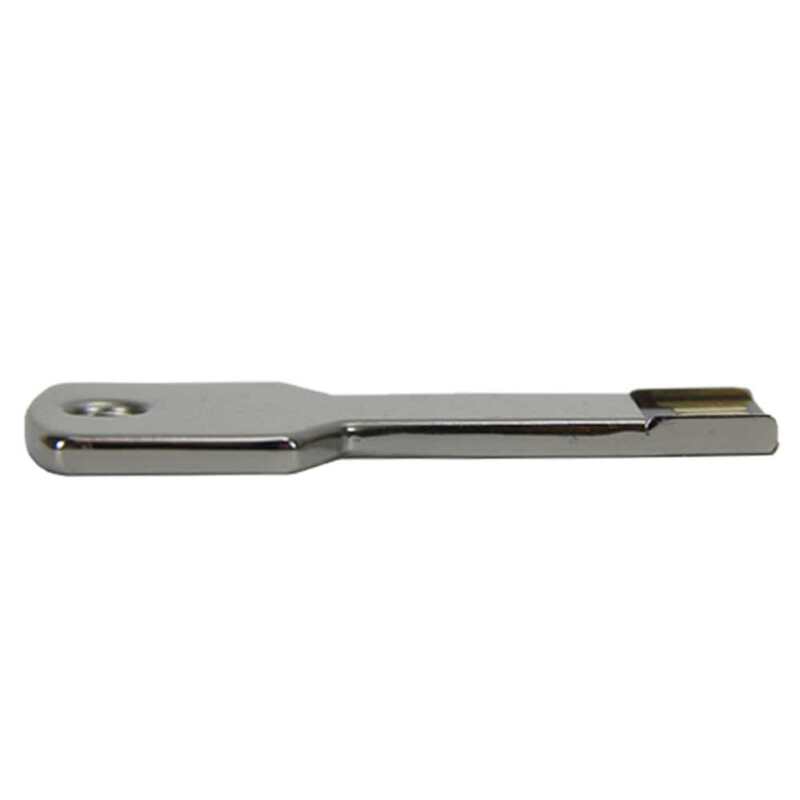 A branded Flash Key is a great way to get people to open their minds about your organization. 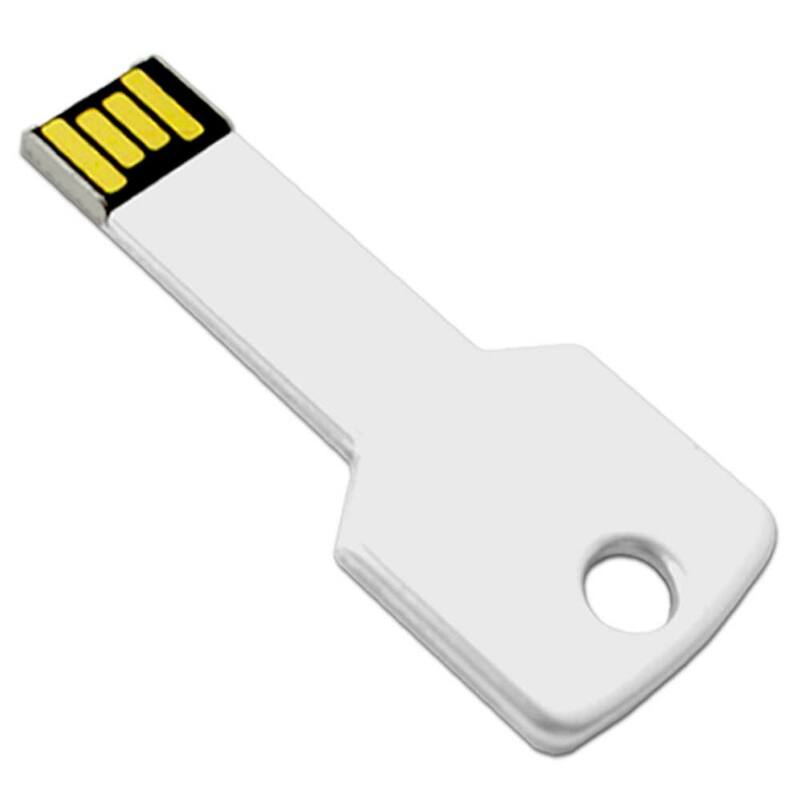 Unlock your information with the Flash Key USB drive! 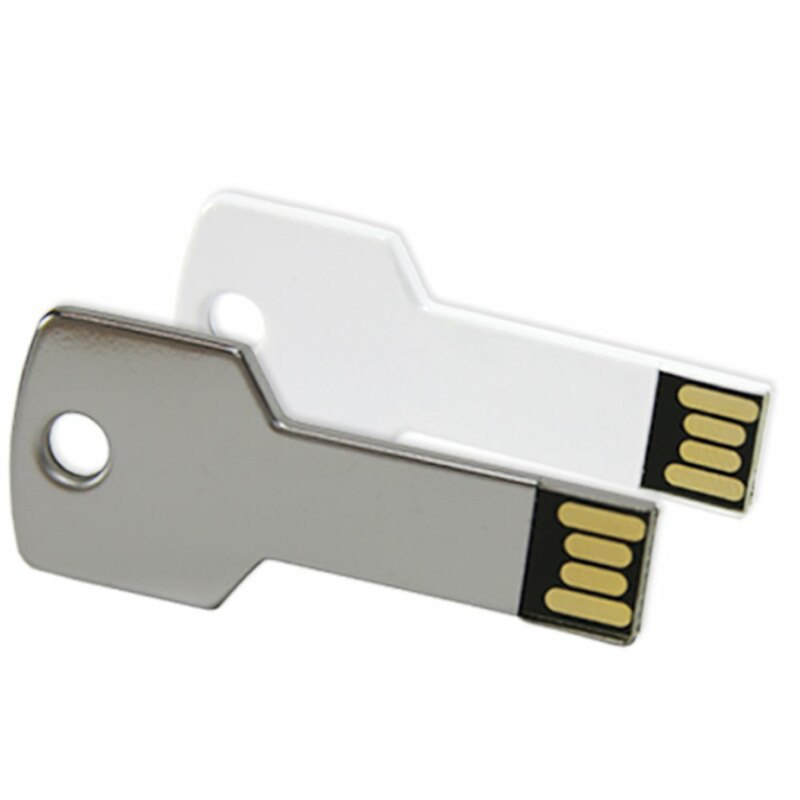 This capless, key-shaped USB flash drive is made out of sturdy metal that’s built to last. The Flash Key’s Hi-Speed drive has storage capacities ranging from 512MB to 64GB. It's perfect for storing documents, multimedia, and any other files that you need access to when you're on the go. When it comes to compatibility, this slim drive is as versatile as a skeleton key: It's fully supported by PC, Mac, and Linux. It's sleek design also makes it very easy to carry around. You can slip your Flash Key onto a keyring with ease, thanks to its built-in key loop. The Flash Key can also help you unlock new business as a promotional gift! 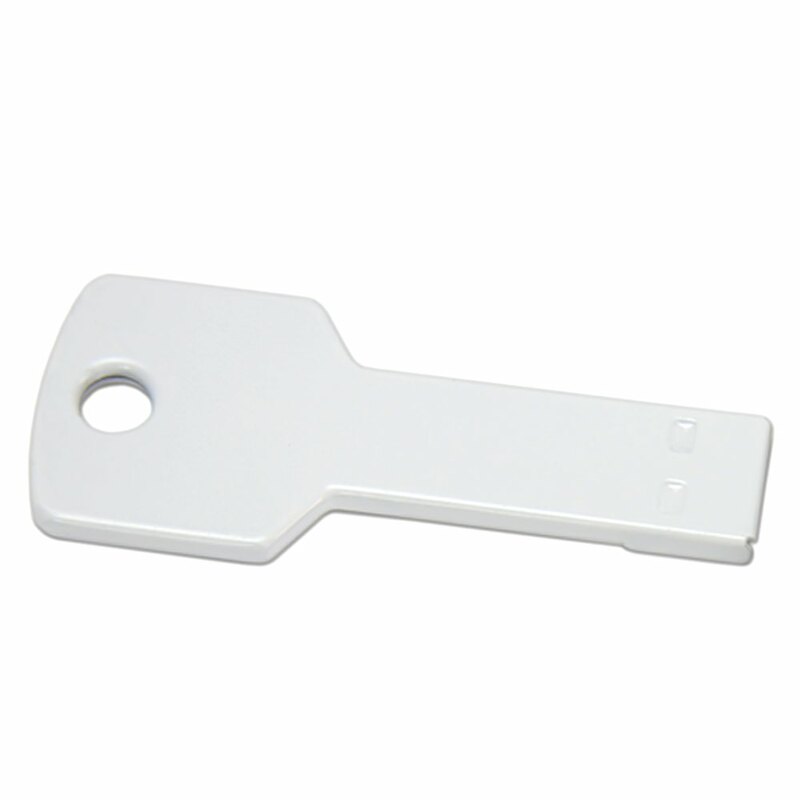 This flash drive is available in bulk at wholesale prices or as a custom printed item. Add your logo to the Flash Key and you’ve got a memorable calling card for your business. Don’t get shut out: Use the Flash Key USB drive to open the door to new opportunities!